The men who took part in the continuous Sikh struggle for freedom and justice have a place in the hearts of the poor and the needy. Bhai Jaswant Singh was born on 4th May 1958in the house of Sardar Chanan Singh and from the womb of Mata Veer Kaur in the village of Khujala, district Gurdaspur. Bhai Sahib two sisters and two brothers. Bhai Sahib studied up till 10th class at Khujala’s government high school and passed 12th class at the Khalsa college of Kaddian. After completing his studies, Bhai Sahib was married to Bibi Amarjeet Kaur and had two sons and two daughters. In 1982, Bhai Sahib and family took Amrit from the Panj Pyare and became Khalsa. Bhai Sahib had heard many speeches of Sant Jarnail Singh Ji Bhindranwale, soon Bhai Sahib started going to Sri Harimandir Sahib to listen to the speeches of Sant Ji. At times Bhai Sahib would stay with the Jatha of Sant Ji and soon started to do sewa in secret within the movement for the equal rights of the Sikh community. In June 1984, the Indian army was sent to attack Sri Harimandir Sahib by the then Indian prime minister of India, Indira Gandhi. Many innocent Sikh pilgrims were massacred and the Sri Akaal Takht Sahib was bombarded with tanks and cannons. Surrounding historical Gurudwaras were also attacked and Sikh youth were arrested by the Indian army from all over Punjab. Bhai Sahib was also arrested and sent to central jail, where he was brutally tortured. After sometime Bhai Sahib was released from jail on bail, the attack on Sri Harimandir Sahib had a deep impact on Bhai Sahib. This left Bhai Sahib wanting justice, but the country that committed the crime did not serve the justice and left the singhs wanting revenge for the merciless killing of innocent Sikhs. In search of sewa, Bhai Sahib met a Khadku Singh of Khalistan Liberation Force, Bhai Manjit Singh Khujala. Bhai Sahib known to be a brave heart, courageous and man of his word. According to the newspaper reports on 19th April 1987, a 28 hour long encounter took place in the village of Bheni, district Gurdaspur. It is said that Bhai Lakhwinder Singh Bittu attained shaheedi along with 4 more singhs in this intense battle against the Indian security forces. Bhai Sahib managed to escape even though he was wounded. 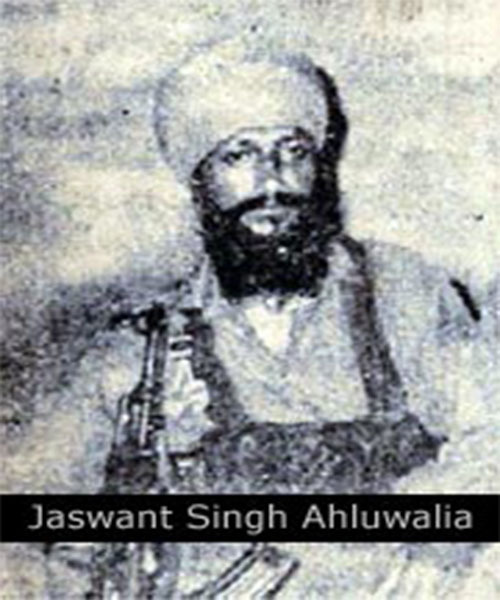 Bhai Sahib also did sewa with the Lt General of Khalistan Liberation Force, Bhai Jugraj Singh Toofan and later Bhai Sahib started doing sewa with Bhai Wassan Singh Zaffarwal’s Khalistan Commando Force. In Khalistan Commando Force Bhai Sahib did big actions, he was the Area Commander but soon was given the rank of Lt General. Bhai Sahib was strictly against the looters who targeted the poor and the weak. The looters never dared come to Bhai Sahib’s area of command. The locals would highly respect and honour Bhai Sahib. Bhai Sahib use to say, “Our battle is against the government, not against one community”. Bhai Sahib was great warrior, who had great discipline, but at the same time Bhai Sahib spoke to everyone with love. Bhai Sahib dedicated himself to the Sikh Freedom Movement and did actions with loyalty. On 13th August 1991, Bhai Sahib along with fellow singhs, Bhai Malkiat Singh Pappu alias Bhai Paramjit Singh and Bhai Mangal Singh Babbar were resting at a house in the village of Khujala, when an informant delivered this news to the Punjab police. Within hours the Punjab police, CRPF and BSF all had surrounded the area. It is said that in this great battle of Khalistan, the singhs killed 8 Indian security forces personnel and wounded over 18 officers. After great amount of hours of battling, all singhs attained shaheedi shouting war cries of Bole So Nihal, Sat Sri Akaal.